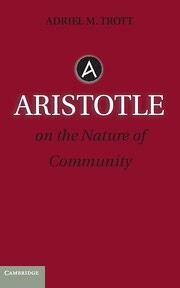 In my book on Aristotle’s Politics, I argue that Aristotle’s definition of the human being as political on the basis of having logos, by which we organize pleasures and pains and determine what is beneficial and harmful, good and bad, just and unjust, functions to show that anyone making a claim to belong exemplifies their having of logos and thus belongs. Interestingly, I think this view might actually lead to showing, contra Aristotle’s argument that logos distinguishes humans from animals, that animals too might make claims and thus belong. I take Bruno Latour’s work on the politics of nature to show as much.